Emory Healthcare and Walmart will create an accountable care organization to serve about 10,800 Walmart employees in the metro Atlanta area. The ACO will include a bundled-payment program for spine surgery and joint replacement. Workers at 55 Walmart and Sam's Club locations can opt into the ACO. Covered workers will still make standard copayments for primary, specialist, and urgent care, but their preventive-care visits will be free. Emory, an academic center, is one of Georgia's largest clinically integrated networks with 2,000 physicians, seven hospitals and 200 facilities. "When Walmart approached Emory about these opportunities, we were excited to partner with Walmart, a progressive company dedicated to transforming healthcare and its delivery process," said Patrick Hammond, CEO of Emory Healthcare Network in a press release. "More and more large, self-insured employers like Walmart are looking for new and creative solutions as a potential way to decrease costs of healthcare plans for employees, while improving the overall quality of the care. This partnership is a win-win for everyone involved." As part of a Centers of Excellence agreement, Emory University Orthopaedics & Spine Hospital and Emory Orthopaedics & Spine Center will receive fixed payments for care related to spine surgery and joint replacement. Walmart employees who have a employer-sponsored plans will not pay out-of-pocket costs for spine procedures and joint replacement surgeries at those locations. Walmart will also pay for any travel-related costs to Emory locations. The ACO will also cover some weight-loss and cardiac surgeries. 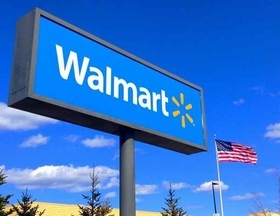 Lisa Woods, senior director of healthcare benefits for Walmart's U.S. operations, said Emory was an ideal partner because of its payment reform initiatives. This is not the first centers of excellence program Walmart has started. In 2013, Walmart offered free hip and knee replacements to workers who agreed to go to Johns Hopkins Bayview Medical Center, Baltimore; Kaiser Permanente Orange County-Irvine (Calif.) Medical Center; Mercy Hospital in Springfield, Mo. ; or Virginia Mason Medical Center in Seattle. It's also a growing trend across the country as employers and providers look to cut costs and improve quality of care. Last year, the National Business Group on Health surveyed 418 employers who cover 15 million employees and dependents in the nation and found that 47% of companies in 2018 would ask employees to use centers of excellence for orthopedic surgeries compared with 40% in the previous year. For the companies contracting with one of the centers, 43% of those centers were paid through a bundled payment or other alternative payment model.